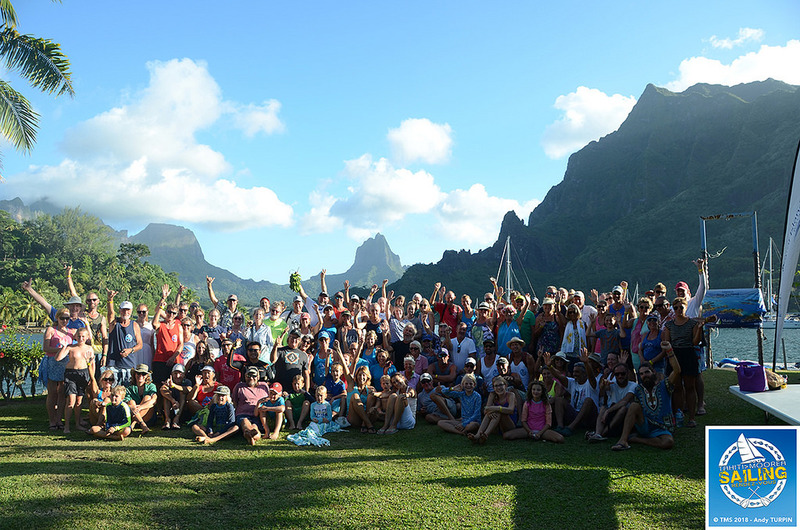 Tahiti- Moorea Sailing Rendez-vous 2018. For the 4th year the Port Whangarei Marine Centre was pleased to support the Tahiti-Moorea Sailing Rendez-vous run in conjunction with the Pacific Puddle Jump. The event was typically well run by Stéphanie & Andy and very well supported by over 60 yachts and their enthusiastic crews, who make the event the success it is. 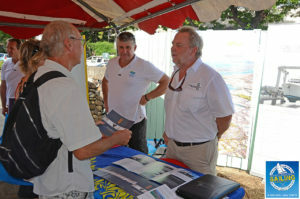 Due to improvements underway to the usual venue in downtown Papeete, Friday’s welcome function was relocated to the marina office, but things went off well with lots of interest from cruisers looking for information about local cruising and the voyage westwards, with drinks and polynesian entertainment once the sun was down. Saturday was a typical sunny day in Tahiti for the sail over to Moorea, as usual light winds were the order of the day at the start but they filled in reasonably well during the day and I think most had a good crossing, see the short video here for highlights of the weekend. Once safely anchored in the bay everyone came ashore for welcome cocktails and dinner in the Aimeo Lodge, formally Club Bali Hai, with a chance for more information gathering before dinner and entertainment from a local dance group afterwards. Port Whangarei Marine Centre Rep Jim Loynes (Right) in Action at Tahiti- Moorea Sailing Rendez-vous 2018. Sunday as usual was the highlight of the weekend with outrigger canoe races, where four cruisers aided by two local paddlers per boat compete in a series of heats to find the fastest on the day. As in previous years this fun event brought out the competitive streak of some crews, which made for some very tight, but good hearted racing. With a traditional Maa lunch laid on, various demonstrations and polynesian games for the crews going on throughout the day, as well as a wide range of local arts & crafts available to buy, a great day was had by all. Take a moment to look at the picture gallery here for a taste of the fun. As always we hope those that took part had a good time and are now enjoying themselves cruising the Pacific islands, we look forward to welcoming them to NZ later in the year.